By fourth stage of multistage Swiss screening proficiency in handling of compass points and compass degrees becomes inevitable at the latest. 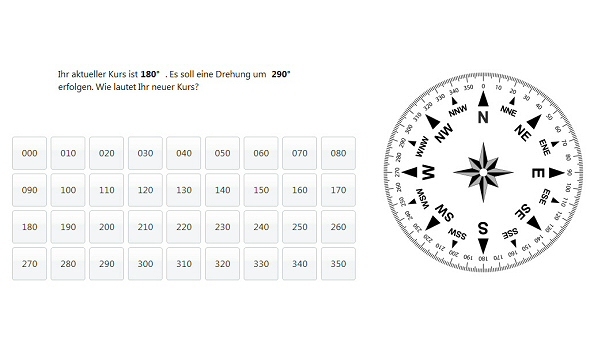 For instance, a quick conversion between compass points and compass degree values or a determination of fastest turning direction between two course indications might be required. SkyTest® Spatial Orientation Trainer is designed to practice those and other tasks in a compass oriented approach.